Near the final asscent to the summit of Flagstaff Mountain, the eastern facing hillside is covered with boulders and Yucca's. 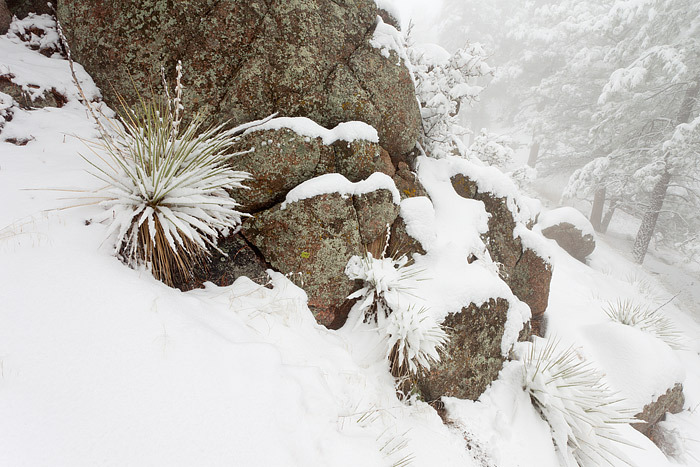 Snow was falling hard this day in the Boulder foothills, but the weather and snow made for great imagery as it coated the Yucca's, Ponderosa's and boulder's on Flagstaff summit. Photo © copyright by Thomas Mangan.